My Ten Thoughts about the 2009 Golden Globe nominations in TV after the bump. I just didn't have the time to commit to "In Treatment." Sorry, HBO, but you didn't send me screeners. The Globe voters had no such problems. There's a tendency to over-sentimentalize the last seasons of shows at award season, to given exiting series a couple token nominations and wins. In that regard, you almost have to respect the HFP for their ongoing ignoring of "The Wire." This was its last chance at Globes recognition and, once again, TV's best drama was whitewashed. Also snubbed for its final episodes was "The Shield." I'd have thought Michael Chiklis a three-time nominee and former winner, might have snuck back in, but nope. The Globes don't get sentimental. Just because they loved you when you were young and your breasts were perky doesn't mean they'll still recognize you in the street two or three years later. Remember back when "24" and "Lost" and "Heroes" and "Grey's Anatomy" and "Desperate Housewives" were Golden Globe favorites? Seems so long ago. The latest show to wane in the eyes of the HFP is "Pushing Daisies," which had a trio of nods last year and none now. At least the love for "Mad Men" didn't fade. In addition to having the chance to repeat for drama series and star Jon Hamm, "Mad Men" added a well-deserved nomination for January Jones. Yes, I'd have liked to see Christina Hendricks and Elisabeth Moss pop up in the supporting category, too. Once upon a time, being picked as the lead actress in a J.J. Abrams series was a guaranteed invite to Golden Globes night. Keri Russell and Jennifer Garner both won Globes for the first seasons of "Felicity" and "Alias," while Evangeline Lilly was nominated for the initial season of "Lost." The streak is broken with Anna Torv, not that anybody was really surprised to see her missing for "Fringe." Tom Wilkinson's role in "Recount" was unquestionably a supporting role. I know he got the same lead nomination at the Emmys, but that doesn't make it right. On the other hand, I don't get the confusion over Kevin Connelly's lead actor in a comedy nod. Are we confused at the nomination entirely? Yeah, I'm right there with you. It isn't that Connelly's bad, but he hasn't exactly been especially good this season, nor has E been especially central to the "Entourage" storylines. But if the confusion is about his being the lead, the guy's been top-billed on the show since it began. I'm going to ignore the series nomination for "True Blood." The Globes do silly things and if they can't distinguish between "so bad it's funny" and "good," that's their predictable prerogative. 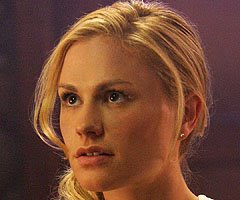 Oh and if I'm putting money on any single potential winner come January, it's Anna Paquin for lead actress in a drama. She's an iron-clad lock. That's just how the Globes go. Still more proof of how poorly the networks developed last season post strike. Am I missing something or was there not a single nomination for any new network show in any category? That's telling. There weren't really that many options, I guess, though a nod for Simon Baker for "The Mentalist" wouldn't have been even slightly surprising. I've had a while to digest it, but the nod for Kiefer Sutherland in "24: Redemption" still makes me laugh. Good for Neil Patrick Harris. Globe rules make the TV supporting categories a tough field to break, but even as "How I Met Your Mother" goes up and down, Harris is always a hoot. I could not believe that yet again "The Wire" was left out of the nominations; this is by far the most impressive TV drama to have been produced in years. It is constantly praised for its acurate portrayal of street life in urban American and is written by two men with real life experince and a God given talent for script. It astounds me that such an amazing show can go unrecognised again and again... pull it together panel members!!! "The Wire" is King!!! TV Review: NBC's "Momma's Boys"